A fourth Quantum-class ship is on the way for Royal Caribbean Cruises, but it will be 2019 before it joins the fleet. Sister ship Quantum of the Seas, which launched last year, is to be based year-round in China. 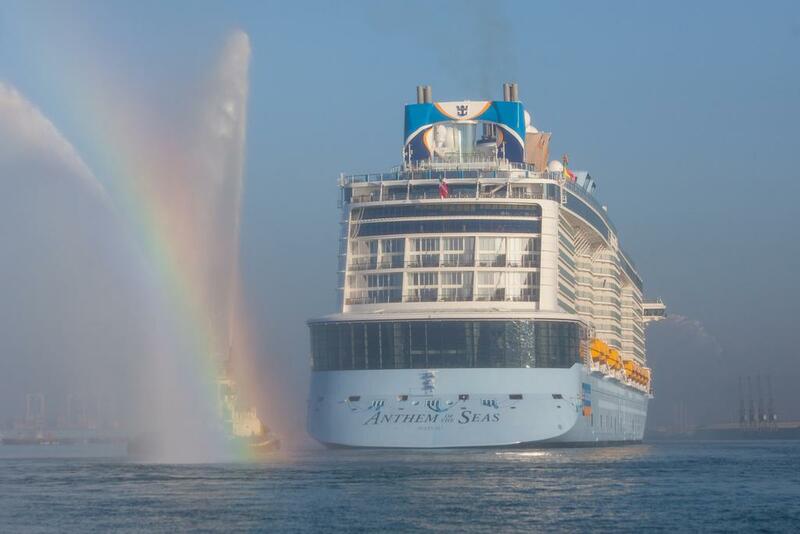 Anthem of the Seas, launched in Southampton last month, moves to New Jersey in October after a summer sailing from the UK to the Mediterranean. Ovation of the Seas, due next year, will cruise from China and the Far East before switching to Australia. Each ship carries 4,180 passengers and they have introduced first-time-at-sea features such as the NorthStar observation pod, dodgems, and a sky-diving simulator, together with a host of high-tech features for passengers, and behind the scenes. So it’s difficult to believe that Royal Caribbean International president Michael Bayley’s claim that the latest ship will be “a trailblazer in smart ship design and vacation innovation” is anything more than marketing hype – unless his promise that “the icons and amenities on this ship will continue to challenge and expand guests’ expectations” means there are more innovations to come. With the new Quantum-class ships on the way and two more Oasis-class vessels being built, Royal Caribbean’s passenger capacity will grow by 5.5 per cent this year and 6.3 per cent next. Further growth of 3.1 per cent in 2017, 3.9 per cent in 2018 and 6.5 per cent in 2019 – unless the company offloads some of its older tonnage.